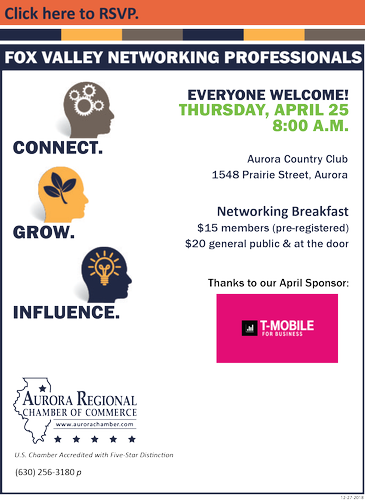 Get ready to introduce yourself and connect with like-minded business professionals ! business education and more . business cards and have open networking time before breakfast is served. $15.00 members, $20.00 general public. At the door registration $20.00 for everyone. Date/Time Information The last Thursday of every month.